The department of Computer Science & Engineering organized a guest lecture for the students of CSE and ECE. The guest speaker was Mr.Michael Packiyaraj, Sr Associate L2 (Tech Lead) Sapient Technologies, Bangalore. He has around 10 years of industry experience. He delivered a lecture on Career Guidance and personality development. 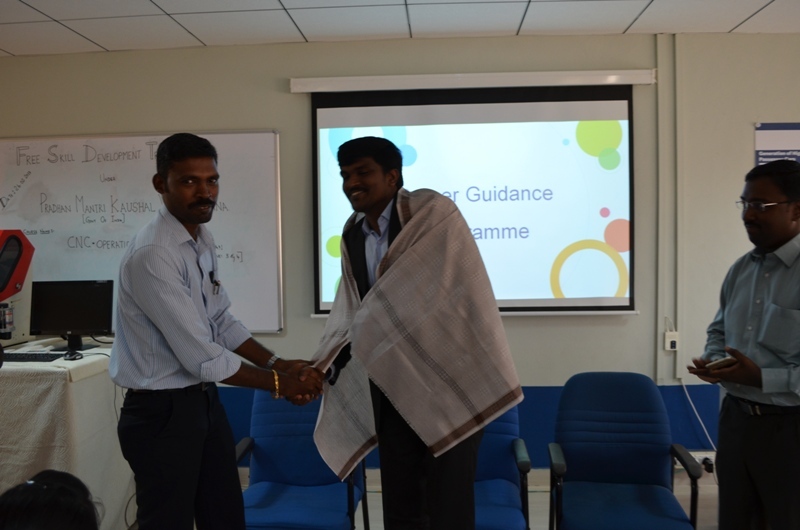 The lecture covered the areas including personality development, interview skills and current trends in IT. In personality development he explained the students how to be bold, patient, curious and honest. All the qualities were explained with real time examples. While talking about interview skills he started from very basic of preparing a resume. He asked the students to research the industry and company to know more about the field and current updates. The students were given idea on what to talk in interview and what not to talk. He insisted the students to reply only for the questions asked by the interviewer. He explained the students how to behave and convince the people. He explained the importance of attitude. The current trends in the IT field were discussed. He asked the students to develop themself in the current technological areas like web front end development, Mobile web application, cloud computing, Agile technology, Mobile applications and data analytics. He asked the students to discover their passion and never give up in their dreams. The session was very interesting and interactive with real life examples. The students got a clear idea in interview skills, personality development and current trends. He appreciated the students in their technological ideas and asked the students to overcome their inferiority complex to come forward to express their ideas and grab the available gloden opportunities. The department of Computer Science & Engineering extend their warm and heartfelt thanks to Mr. A. Raja Winston, AP, AVCE for making the event possible.